For a while, I had a sort of "fling" with brown ink. 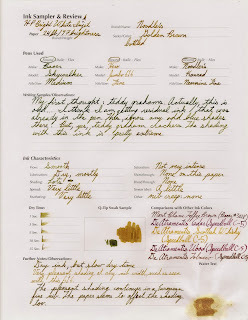 Brown ink was the most fascinating thing ever, and I acquired several samples of various browns. After a while, the fascination waned, but this brown by Noodler's remained in a pen that traveled around in my on-the-go pen case. In thin nib strokes, it holds consistently, and its shading is a lot of fun. 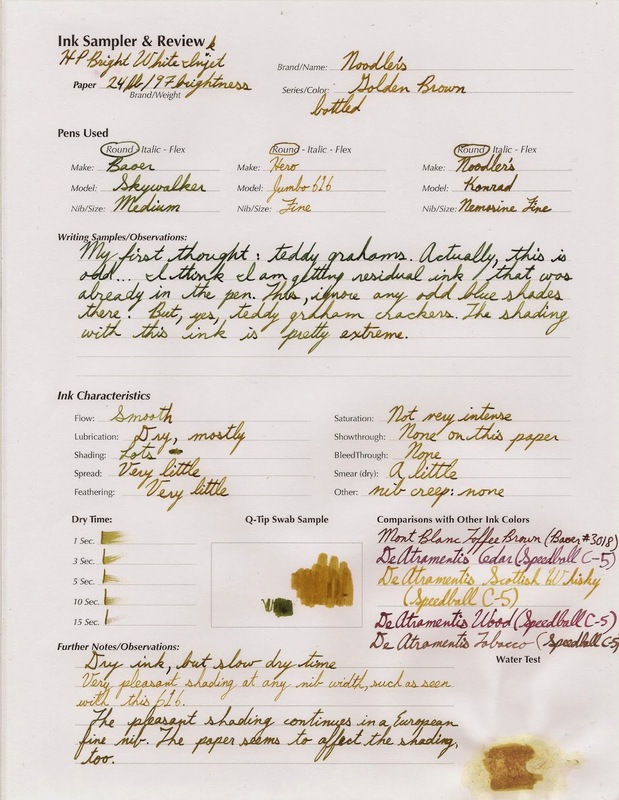 Definitely lighter than an ink like Montblanc Toffee Brown but still very usable in daily writing. 2013-10-29 EDIT: Updated with an additional pen.